eScienceCommons: Your past is calling: Can you ID stone toolmaking 'ring' tones? Your past is calling: Can you ID stone toolmaking 'ring' tones? 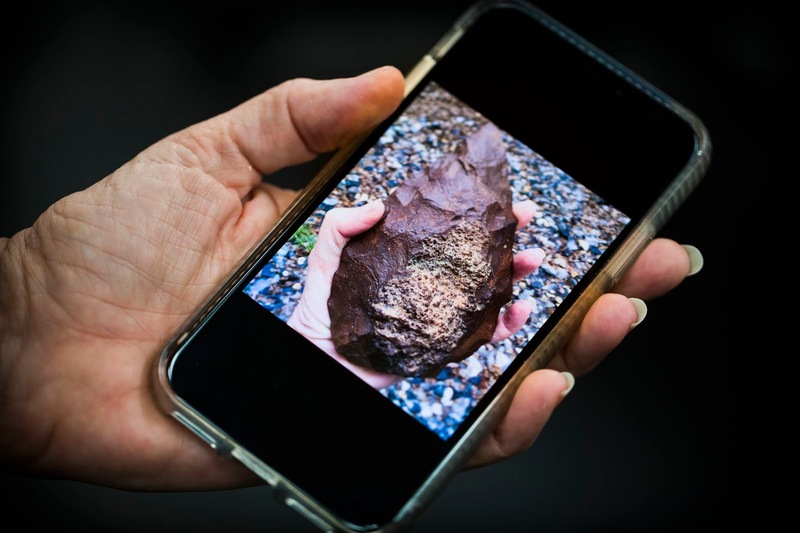 Long before everyone started carrying a smart phone everywhere they went — attuned to the sounds of a text, call or email — our ancestors carried a hand axe. “Stone tools were the key human technology for two million years,” says Dietrich Stout, director of the Paleolithic Technology Laboratory at Emory University. In fact, he adds, the process of making them may have played an important role in our ability to communicate. If you can spare just 10 minutes for science, you can use your smart phone and a pair of headphones to log onto a web site to help Stout test whether ancient tool-making promoted special acoustic abilities — perhaps even honing the development of spoken language. Stout is an experimental archeologist who recreates prehistoric stone toolmaking, known as knapping, to study the evolution of the human brain and mind. In many of his experiments, subjects actually bang out the tools as activity in their brains is recorded via functional magnetic resonance imaging (fMRI). He’s already found evidence that the visual-spatial skills used in knapping activate areas of the brain that are involved in language processing. But what about the sounds of knapping? Stout teamed up with Robert Rein, from the German Sport University Cologne, to develop just such a test. The result is the online experiment Sounds of the Past, open to everyone — from expert knappers to those who have never knapped at all. During stone tool production a stone flake is produced by hitting a stone core with another stone, used like a hammer. 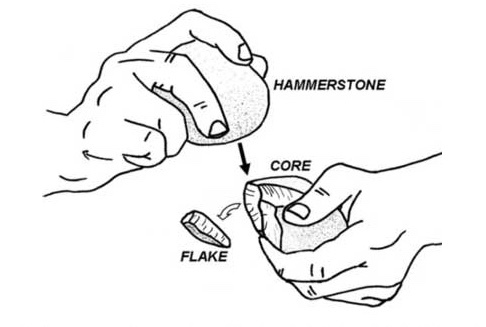 Factors like the geometry of the core stone and the location and the strength of the strike determine the size of the flake that falls off. The researchers recorded the sounds of flakes breaking off during stone tool production. Participants in the online experiment are presented with a series of these sounds, with no accompanying visuals, and asked to estimate the length of the flakes produced, within a range of parameters. Participants are also asked whether they have prior experience knapping. The aim is to get as many experienced knappers as possible to participate, and at least an equal number of those without experience, then compare the results. The study is self-funded and does not provide compensation for participants. Individual test results are also not available. “It’s really something that we hope participants will just have fun doing, along with the satisfaction that they are providing data to help us understand the evolution of the human brain,” Stout says. The length of time the experiment will be available is open ended, he adds, although the researchers hope to have enough results in hand for analysis sometime next year. Click here to participate in the experiment.